Did you know that many chaplains across the country are using C.A.R.E. Programming to create sacred spaces and provide compassionate care to patients and families? 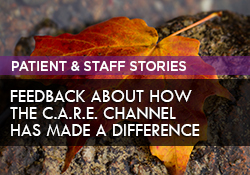 Find out how four spiritual care and mission integration professionals brought C.A.R.E. Programming to their hospital, how it was funded, and how it has positively impacted their patients, families, and staff. 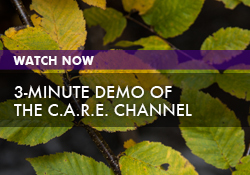 Please enjoy this recorded discussion and Q&A session moderated by Erinn Pignetti, Director of Client Success Services for Healing HealthCare Systems.